A lot of our discussion was about the ‘big picture’ of what both professions do in terms of academic support, and what it might look like to students. 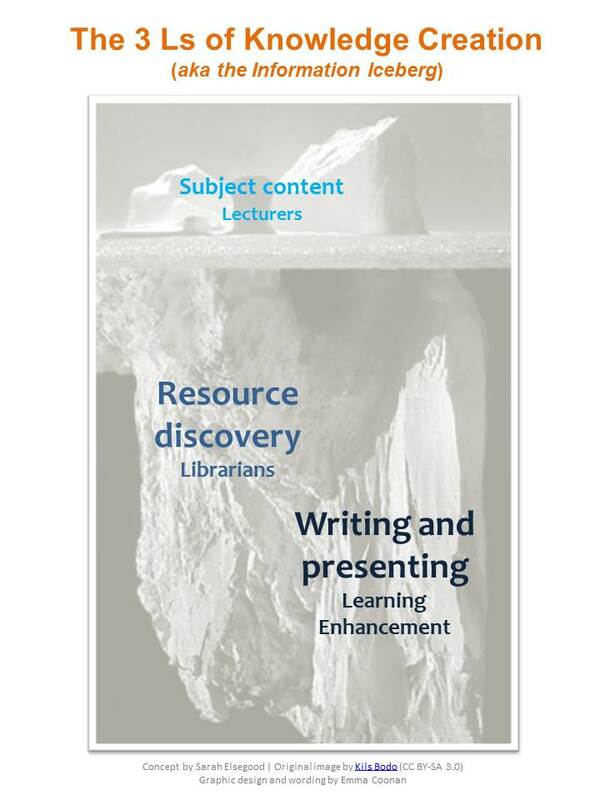 During our talk my colleague Sarah came up with a wonderful metaphor: there are three ‘prongs’ of academic development support – provided by lecturer, learning enhancement staff, and librarians. It’s an alliterative educational trident! Then I started thinking about how visible each of those prongs is to learners, since mainstream subject content is often perceived as providing all the potential for academic development needed by students. 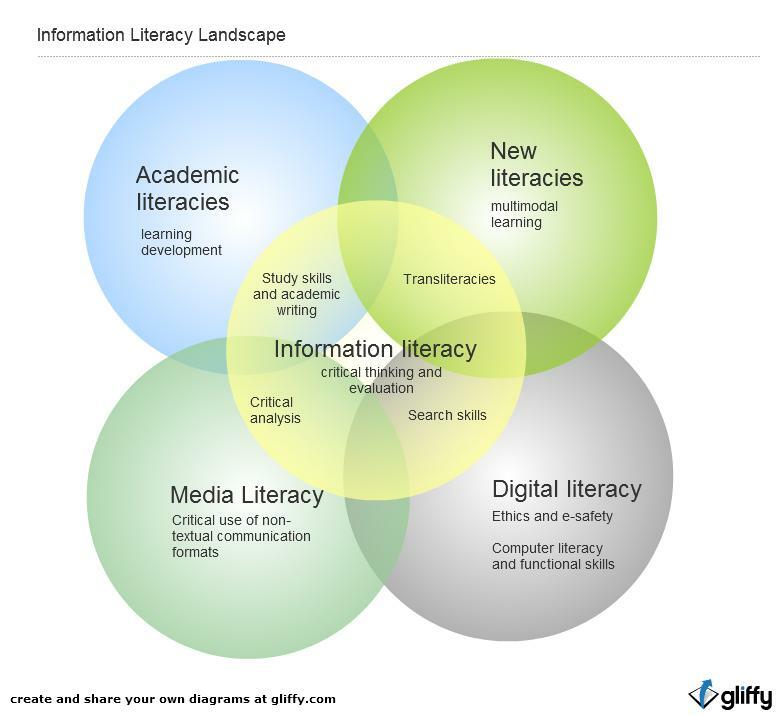 As a (fairly vocal) proponent of both reflective information literacy and learning development, it’s probably no surprise that I feel that subject content needs to be interrogated, negotiated and contextualised in order for deep learning to be achieved. 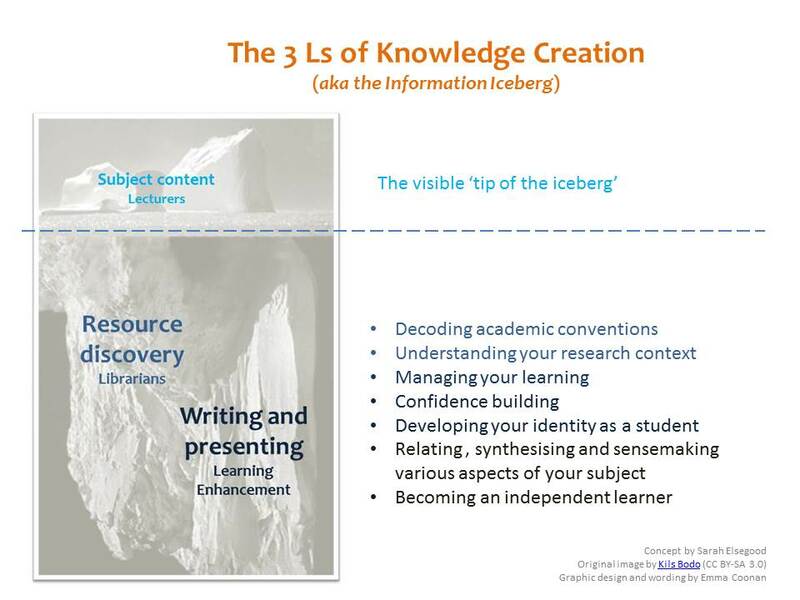 And so I give you … the academic support iceberg! 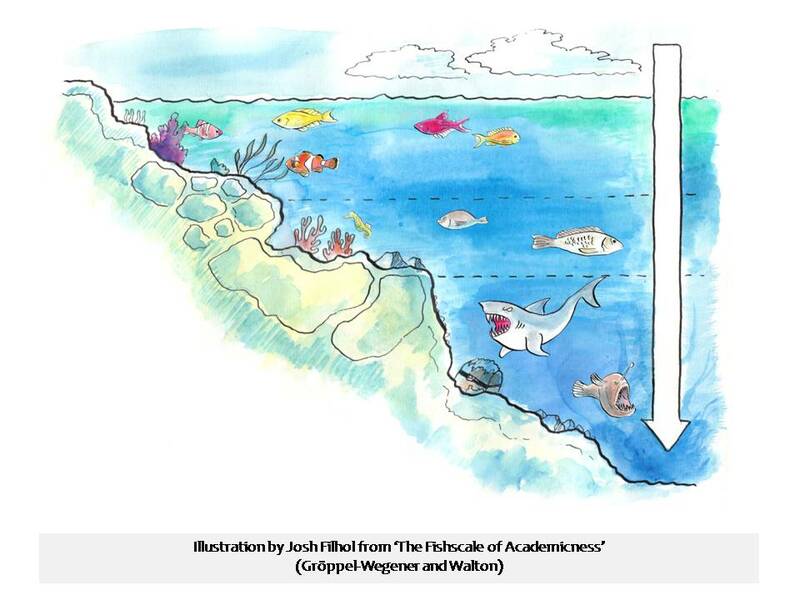 Above the surface, the academic development environment most visible to students – that available within their discipline, through their interaction with their subject. 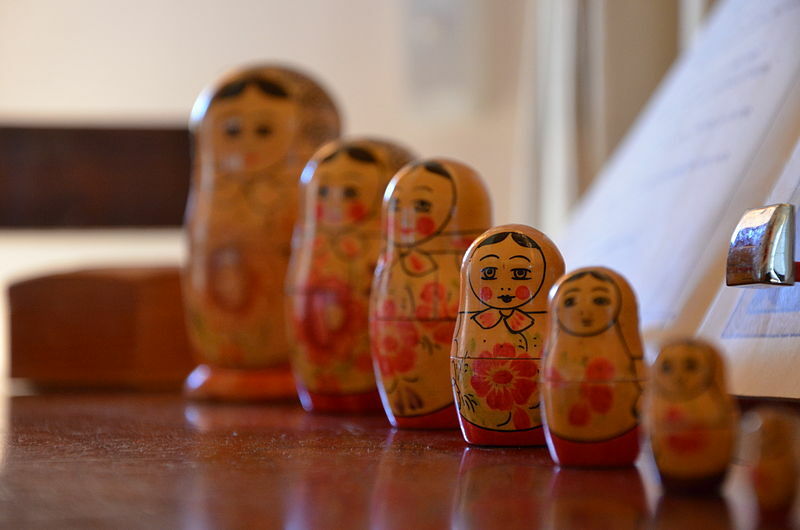 Below the surface, the rich opportunities offered by stepping back to look at ‘how you do what you do’ and reflecting on how to manage your own learning, with support from specialists in information and education. There’s more about Alke’s Fishscale schema in this post, too. I wonder if there’s room for a trident in there next to the treasure chest … ?